Park View Walking Tour Scheduled for September 27th | Park View, D.C. Leading the 2009 Park View Walking Town tour. 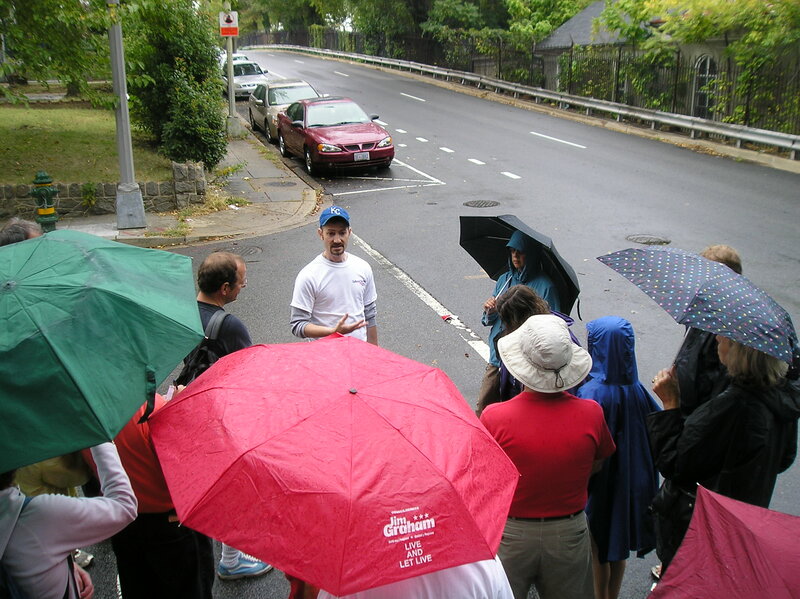 It’s that time again, time to reserve your space for Cultural Tourism DC’s Walking Town neighborhood walking tours. This year, I’ll be leading the Park View tour, schedule for September 27th at 10 a.m. (register here). As in years past, the tour will start at the Georgia Avenue Metro station and end at the school and playground. If you like walking tours, but have already participated in the Park View tour, consider reserving space on any of the many other tours that have been pulled together. A full list of tours is on the Cultural Tourism DC Web site. This entry was posted on September 9, 2015 at 7:01 am and is filed under History, Sports leisure and entertainment. You can subscribe via RSS 2.0 feed to this post's comments.